Plan about Renaissance reconstruction of the church in Kralovice near Pilsen with built sepulchral chapel Griesbeck (1575-1581). Wohlmut Bonifac was the court builder of the Emperor Ferdinand I. 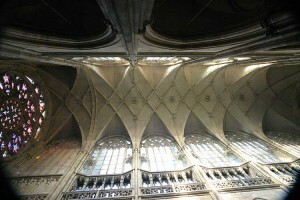 He was one of the most famous architects of the late Gothic and early Renaissance period. Bonifac was inspired by classical antiquity and the morphology of the Italian Renaissance, especially his works were influenced by te Roman author, architect Marcus Vitruvius Pollio and the Italian architect Andrea Palladio. 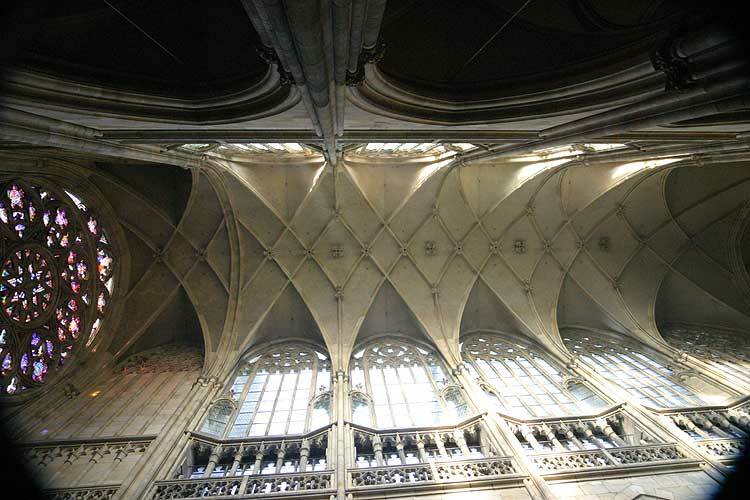 His masterpieces perfectly combine the art of the late Gothic stonework with a new design renaissance courage. Wolmut Bonifac is one of the first representatives of the Prague Renaissance created outstanding works, from which are to see at least the Summer-Belvedere (completion) and Star, Ball Game Hall and the tower of St. Vitus Cathedral.